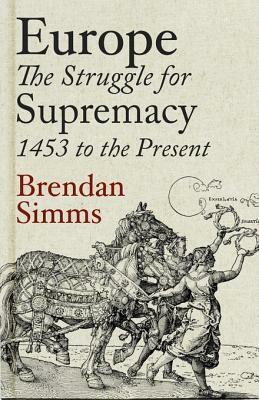 I recently greatly enjoyed reading “Europe, the Struggle for Supremacy 1453 to the Present” by Brendan Simms. He writes from a perspective that sees continuing conflict as the determining force in European politics. Military and strategic considerations are paramount. This emphasis would not be shared by all historians. 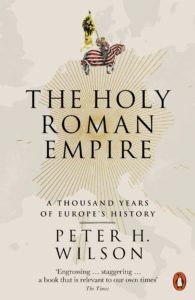 Peter Wilson’s “The Holy Roman Empire, a thousand years of European history” lays stress, instead. on a long surviving effort to build a European legal order, that curbed and contained conflicts, under a shared allegiance to an elected Emperor and to a commonly accepted set of mutual expectations. This thousand year old arrangement only ended in 1806, after 1000 years. Indeed, Simms own book throws light on later attempts to reconstitute a common European Home with common European set of house rules. In the 1920s, the French leader Aristide Briand was prepared to trade French sovereignty for permanent restraints on German power. The UK stood aside from this because it relied instead on guaranteed of military support for its position from Australia, New Zealand, and Canada at the Imperial Conference of 1925. Although the Irish Free State was at that Conference, it offered no similar guarantee. After the Second World War, a meeting, chaired by Winston Churchill, took place in the Hague in 1948 in a second attempt to build a structure for unity in Europe and avoid another war. It could not agree on a model for European unity. 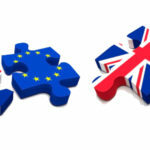 Most countries were prepared to pool some sovereign powers, but the UK insisted that it would only work on an intergovernmental basis, which maximised its freedom of action. 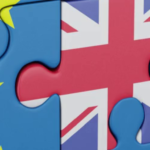 Even when it eventually joined the European Common Market, which did contain some sharing of sovereignty, UK politicians, and public opinion continued to see “Europe” as something apart from the UK, with which the UK would do business on a transactional case by case basis. Therein lay the seeds of Brexit. In their hearts, many English people never joined the European Union at all. While Simms may over emphasise the geostrategic conflicts in and around Europe, others ignore these at their peril. Russian pressure on the Baltic States and Ukraine harks back to conflicts that last came to the surface at the end of the First World War. Rumania feels threatened by Russian pressure in Moldova, which was occupied by Stalin in 1940 under cover of his pact with Hitler. I do not think there is a true European Union consensus on how to deal with any escalation of these types of conflicts, notwithstanding the mutual defence assurances NATO members have given one another. There is still an implicit reliance on the United States to save Europe. But, unless there is a crisis, European defence policy will evolve very slowly. The EU is not a state and is not about to become one. 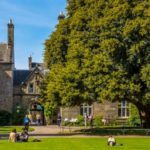 It is, instead, a habit of consultation and common action between states, underpinned by legal and institutional arrangements that are evolving in response to needs as they arise. 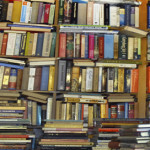 Brendan Simms writes very well and there is new insight or angle on European history to be found on every second page. I recommend this book, and also Peter Wilson’s book too (although I am only a quarter way through it! ).